When we visit the websites of private jet charter companies we often see logos of industry affiliates prominently placed on their home page. Do these logos really mean anything? Some of these are associations within the aviation industry. As with most associations, we pay an annual membership fee. Some of these associations host trade shows, safety symposiums, send regularly publications with valuable information, and other such informational offerings. Then there are the safety logos. The most familiar are Wyvern and Argus. These are quite confusing; perhaps misleading! In truth, these safety auditing firms basically sell ratings. Example: In November 2015, a Hawker 700A crashed in Akron, Ohio. The NTSB cited the accident as being due to pilot error. The operator in question held both an Argus Gold and Wyvern Registered rating at the time of the accident. NEITHER of these ratings require an actual audit. Argus Gold: Operating Certificate for at least one year, at least one turbine aircraft on certificate, in-depth historical safety analysis, pilot background check and aircraft operational control validation. Wyvern Registered: a membership that does not constitute a safety certification and is not intended to imply an endorsement of an operator’s commitment to best practices. Safety Intelligence Report: A report intended to help users vet the company flying them. The information contained in this report includes verification of an Air Operating Certificate, verification of Operations Specifications, fleet data, insurance liability coverages, crew qualifications (training dates, total flight time, license verification, medical certification, and accident/incident information), Accident/Incident Data and Enforcement information Systems records. **NOTE: We have found this information to be inaccurate and outdated at times. As a result, we always double check most of this information against government databases that are available with this information. Wyvern Wingman: Includes an on-site audit; however, the audit only recurs every 24 months. A LOT can (and often does) change in two years. Should You Trust These Ratings? It seems a lot of companies attempt to sell discerning customers on these ratings. The sales pitch usually touts their commitment to safety followed by a reference to these (and other) independent, third-party, safety auditing firms. The problem, for us, is that Robert Sumwalt, aviation safety expert and chairman of the National Transportation Safety Board (NTSB), states that they have seen, more than once, an incident where a company passed an audit, only to discover, AFTER an accident, that there was an illusion of safety. The true nature of the independent safety auditing firms has been accused of being more of a “pay to play” certification than what most believe them to be. Does Exquisite Air Charter participate? Sure, we do! Why? You might ask… well, our customers ask if we do and what our customers want, our customers get. 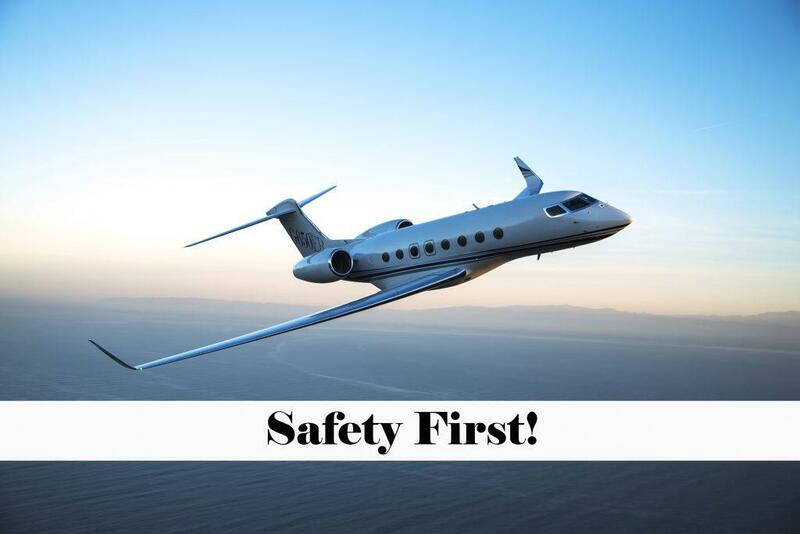 Nonetheless, we advise them that our safety due-diligence extends far beyond just checking to see if our vendors are registered, rated, Wingman, Gold, Gold Plus, or Platinum rated. We check up-to-date government records, have our own forms, checks and balances. Sadly, the NTSB has confessed that far too often these industry audits fail to uncover serious safety deficiencies until it is too late!